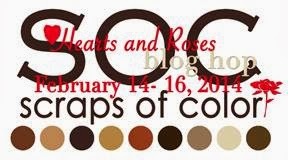 Happy Valentine's Day and welcome to the Scraps of Color Hearts and Roses Blog Hop! 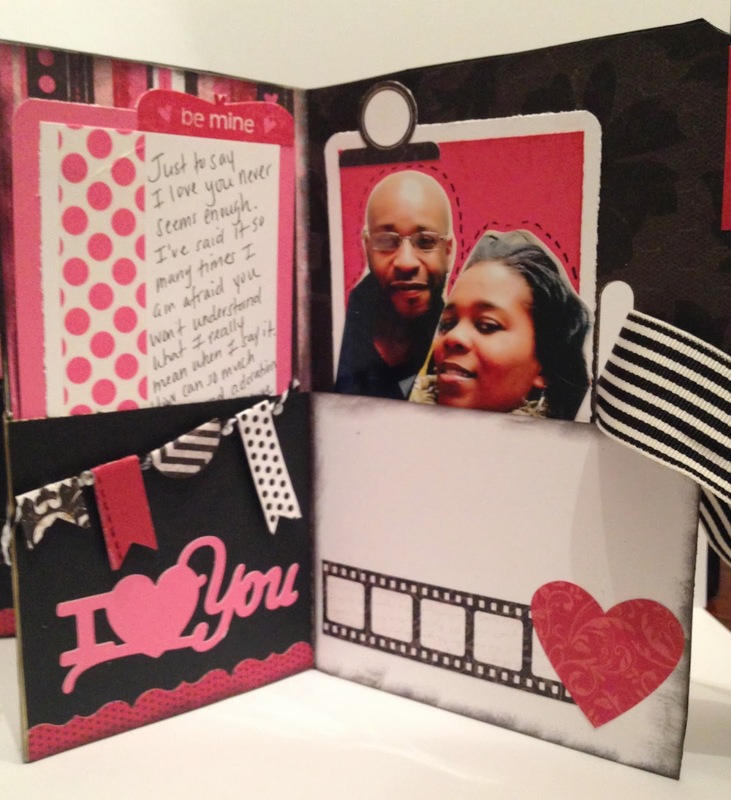 I, along with some talented crafters, have teamed up to share Valentines and love-themed projects! of course, Valentine's Day is all about sharing the love, and this hop is no exception! There will be giveaways on various blogs throughout the hop! I am giving away some BLOG Candy...An Ivy Lane Workshop On the Go Scrapbooking Kit..click the link to see what comes along with the kit!! "Like" my FB Fan Page...Shalana Glass Close To My Heart Independent Consultant and share the post advertising this blog hop. Become a follower of my blog and leave me a comment. The winner will be randomly selected and announced on February 17th!! 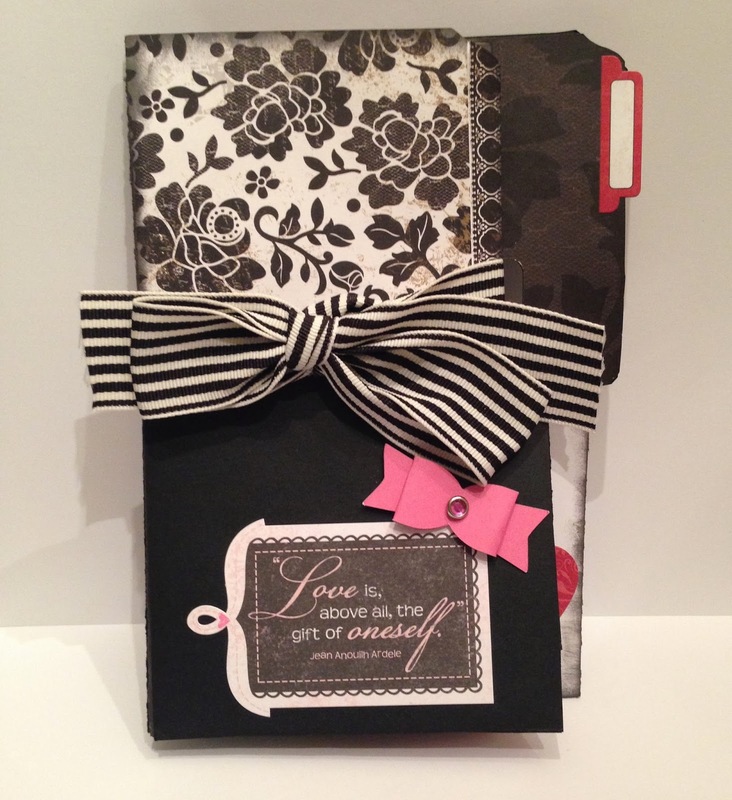 Drum rollllll please....I had fun putting together this full of LOVE Accordion File Folder Album. You can find the tutorial on Splitcoaststampers website. 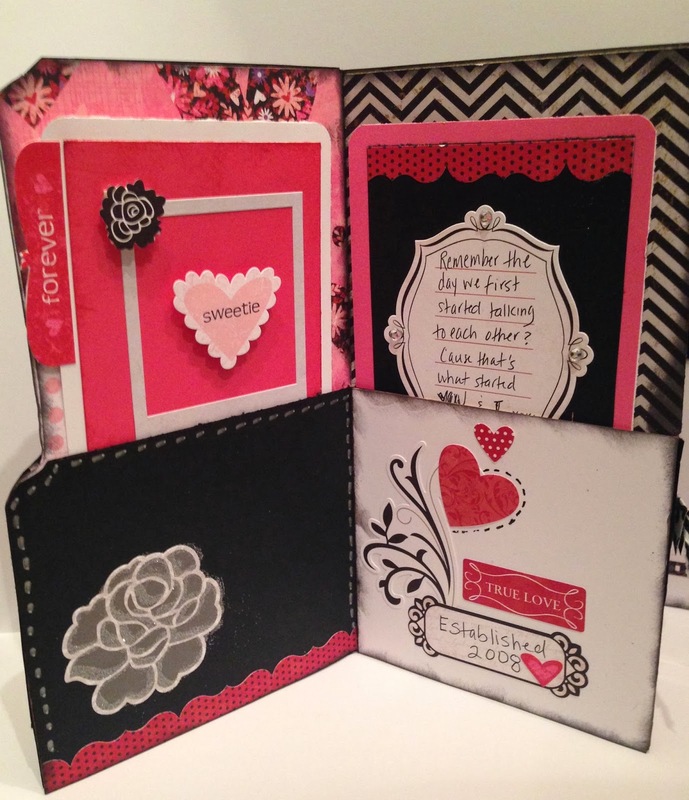 I stayed with traditional Valentine's Day colors pink, red, white, black. I used a combination of CTMH For Always(r) and Sweetheart (r) paper packets to decorate along with the coordinating Stickease. Too keep the album together I punched a slit using my SU word window punch and used CTMH Black Striped Grosgrain Ribbon (r). I used the CTMH Artiste cricut cart to cut out the bow using cotton candy card stock. You end up with 4 panels with pockets to decorate after you fold the file folder. I put tags in each of the pockets. Again I used a lot of coordinating sticker embellishments to jazz up the pockets and tags. Here are the last 2 panels. I made a little banner using Black and white twine by cutting shapes out by hand and folding them over the twine. I used the Artiste cricut cart to cut out the "I <3 You" sentiment. On the tag I used CTMH washi tape (r) and wrote a nice love poem. The second tag I cut out pictures of us and pieced them together since the original picture was too wide for the tag. I'm sure he will love it! Love your project, thanks for the inspiration. Happy Valentine's Day! Pretty. Nice way to celebrate LOVE! Great album, love it! Happy Valentine's Day! I just love the idea of love...thank you! Beautiful album. I love the colors, layers and embellishment. Just beautiful!!! Thank you Renee! He did which made my day! Thank you. This was my first file folder and I enjoyed putting it together! Beautiful! Your sweetie is going to love it! BTW~ I liked your FB page, too! Beautiful Valentine project.,, luv the coordination! Very pretty!!! You did a great job! Very pretty album! I love the traditional colors and all the embellies you used! And I'm gonna have to take a look at those CTMH cricut carts for my collection! I am following you via Bloglovin, and will check into your FB page shortly! Thank you so much for participating in this hop! Thank you!! The CTMH cricut carts are must haves!! I had fun with this hop!